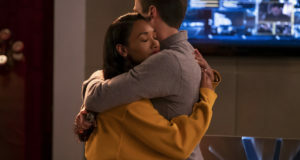 Home / News / Candice Patton Is Iris West In The Flash! Candice Patton Is Iris West In The Flash! 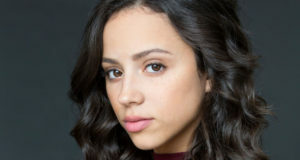 The Flash has found their Iris West for the pilot! 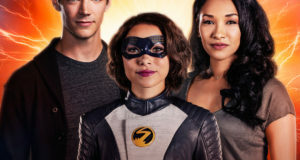 Candice Patton (The Game) has landed the role of Iris, according to Deadline. Iris is described as “fast-talking” and “quick-witted” in the Deadline report. This isn’t her first superhero type project, either: Back in 2009, she appeared in two episodes of Heroes! Welcome Candice to the Flash family! 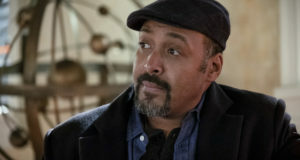 Previous: When Will We Know If & When Flash Lands On The CW Schedule? I am wondering why these guys keep doing this. This means that is Iris West changing to white to black, then that means,…. (drum role please) Wally West wont be a young red head kid, he will be black as well. That means that the Kid Flash who later becomes the new Flash will be having an afro instead of freckles and red hair. The writers can just leave things alone the way they are. Why does everyone have to try to appease the publically correctness. What’s next,… a transgender boy that turns amazon and becomes Wonder Woman that has to borrow Batman’s razor to shave his/her six o’clock shadow??? Look, you racist, there are hundreds of black people with red hair and freckles. And not every black person has an afro. Changing a character from black to white is not polotical correctness, it’s inclusion of diversity and the non erasure if people of color. Get over yourself, you dimwit.